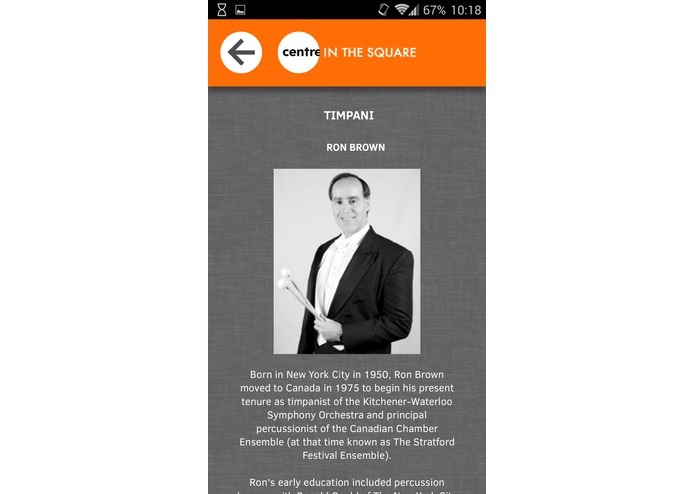 Lots of concert halls have great ideas for bringing the orchestra into the 21st century. But why pick one such innovation? 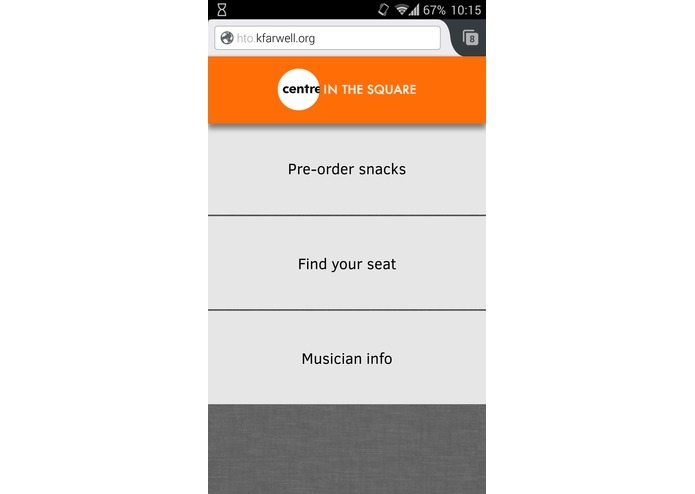 Sits brings a number of modern conveniences to concert-goers' smartphones, all in one place. 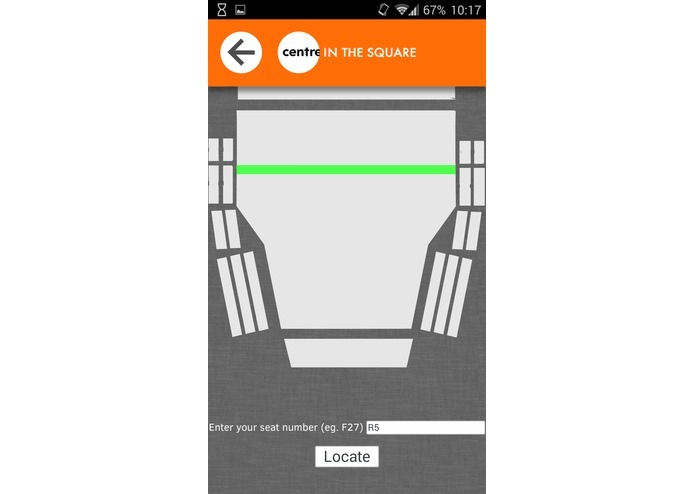 Sits is easy for venues to deploy and use, and for hackers to expand on. Developers can add the latest and greatest ideas to enhance Sits and keep it current thanks to the hackable werc framework and a permissive free software license. Sits is a website powered by the werc minimal web framework with a simple, highly compatible JS/JQuery frontend. Concert venues can easily deploy Sits on their own webserver and configure it to fit their needs. 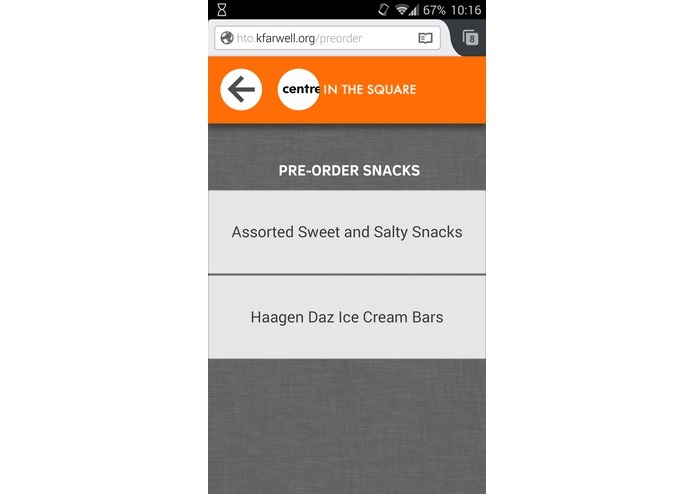 Venues will have access to simple text files (web UI planned) for variables like intermission times, symphony member profiles, and available food items. Some suggested modules took a lot of work for implementing venues. Some were simplified, and this problem was solved by Sits' modularity: venues that want a quick solution can skip modules that take time to set up or maintain. Sits is one of few responsive modern-looking websites with a sane codebase. The backend is based on werc, written in rc shell; and the frontend uses JS and new features sparingly for good compatibility without compromise. This allows for a highly maintainable and expandable product, perfect for the cutting edge venues who want a mobile solution that never goes out of date. The current modules are not all complete and need a little work before shipping. Beyond that, Sits is not yet easy for new venues to deploy. We're close to fixing this, needing a completed plaintext configuration and a nice web UI for venue owners. Slightly longer-term, modularity can be further improved and the process of adding a module can be documented and simplified. 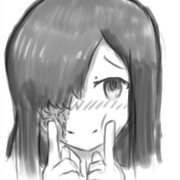 I managed the project, wrote the backend, wrote the stylesheet with Peter, and helped Daniel with frontend debugging and integration with the backend. I worked mainly on the images on the website, and overseered the design of the site.